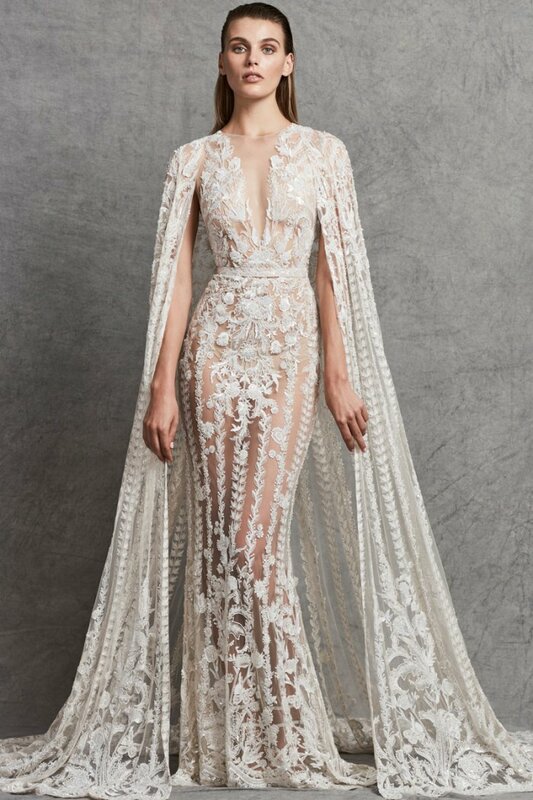 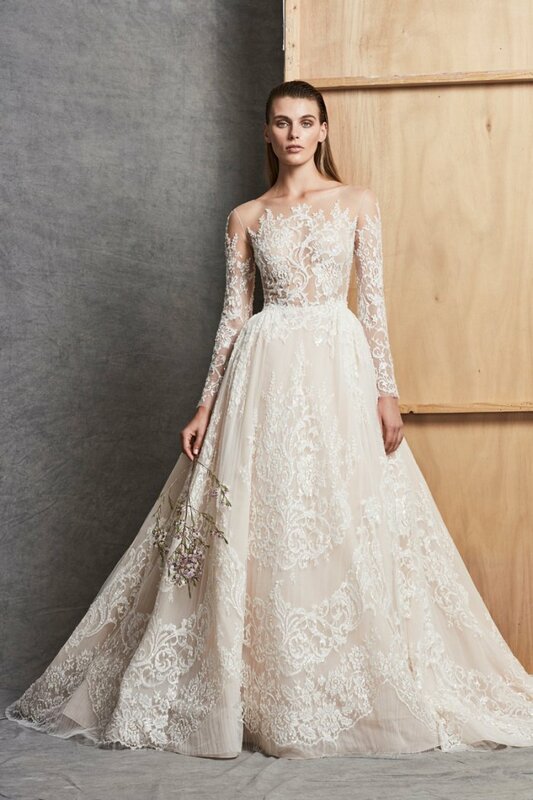 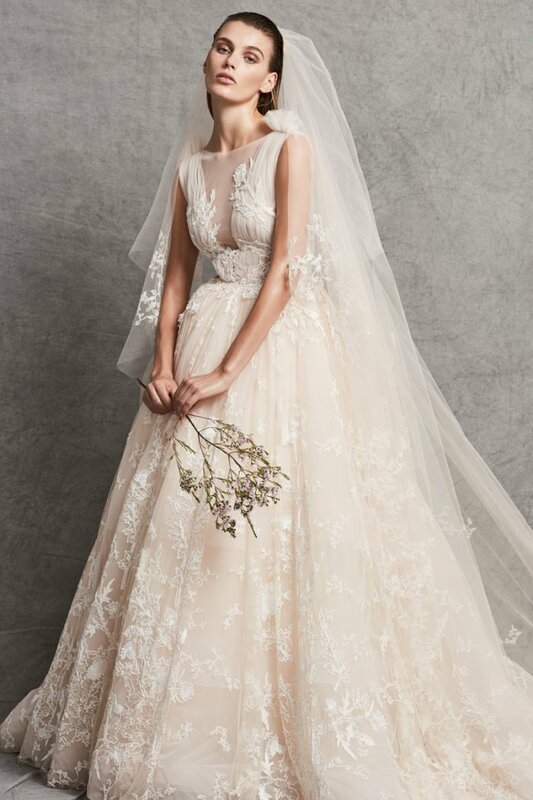 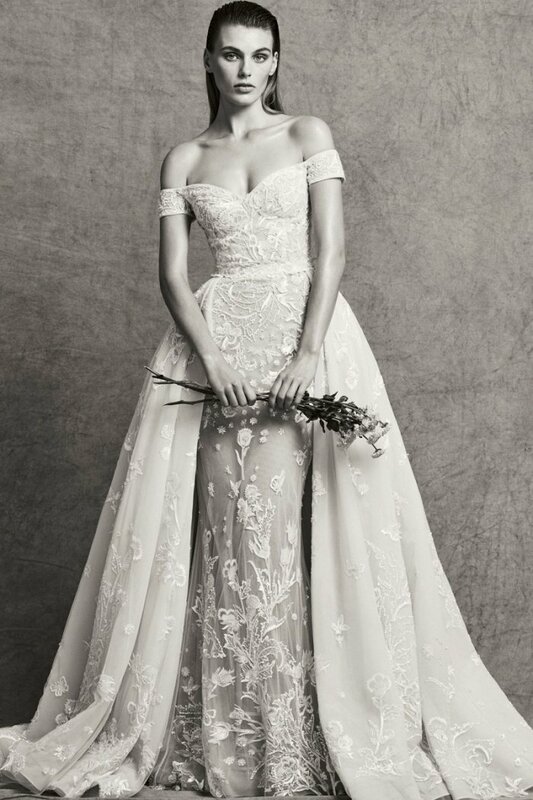 Lebanese designer Zuhair Murad’s fall-winter 2018 Bridal collection continues to impress. 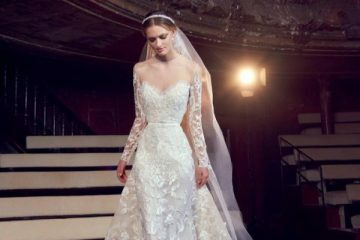 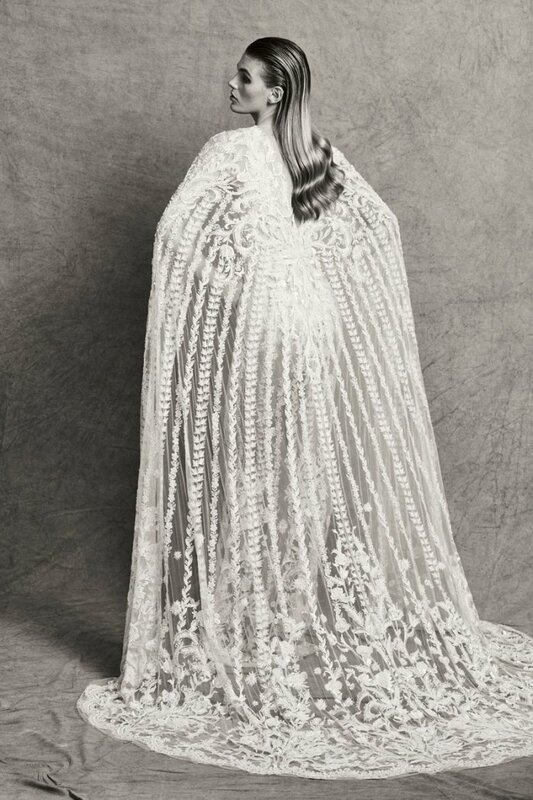 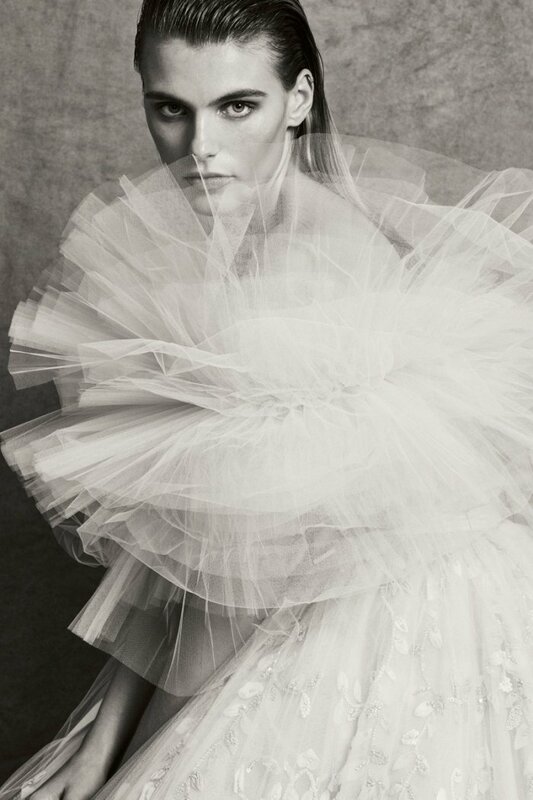 The wedding dresses continue to spotlight the designer’s signature illusion fabrics and curve-hugging silhouettes. 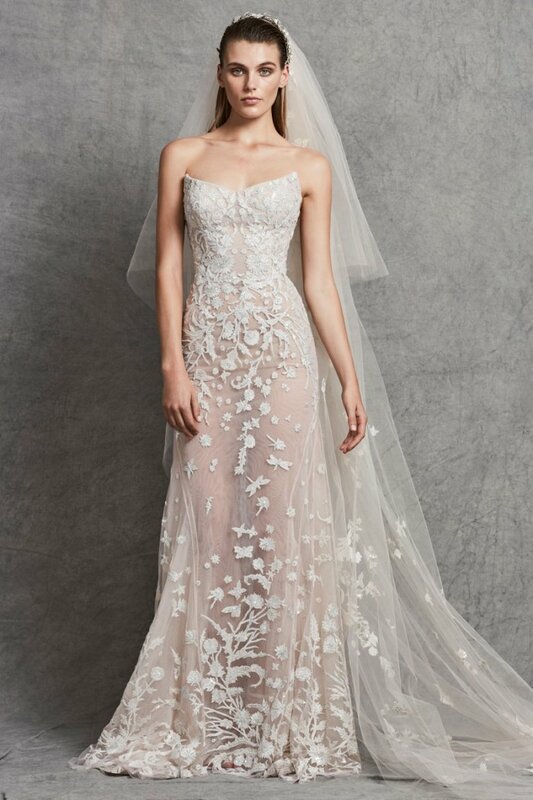 Murad offers up luxe materials including silk chiffon, tulle and crystal embroideries. 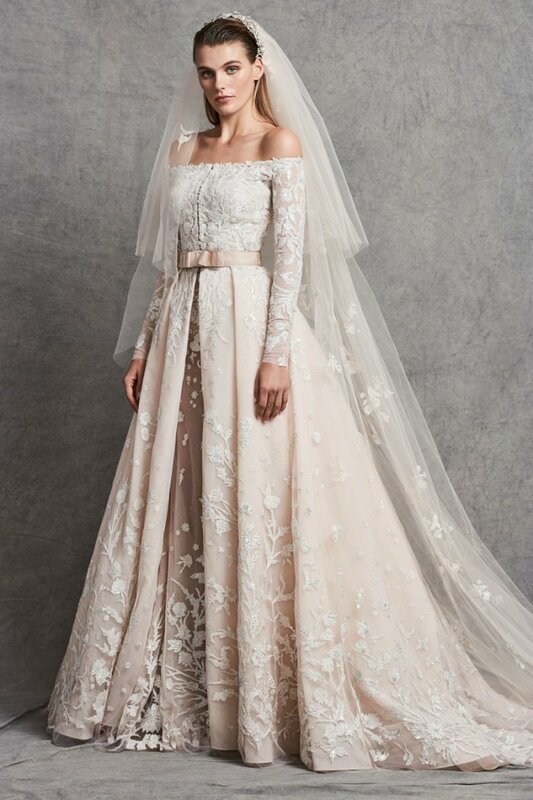 From ballgown silhouettes to cape overlays, the designs come in shades of ivory white, champagne as well as powder pink. 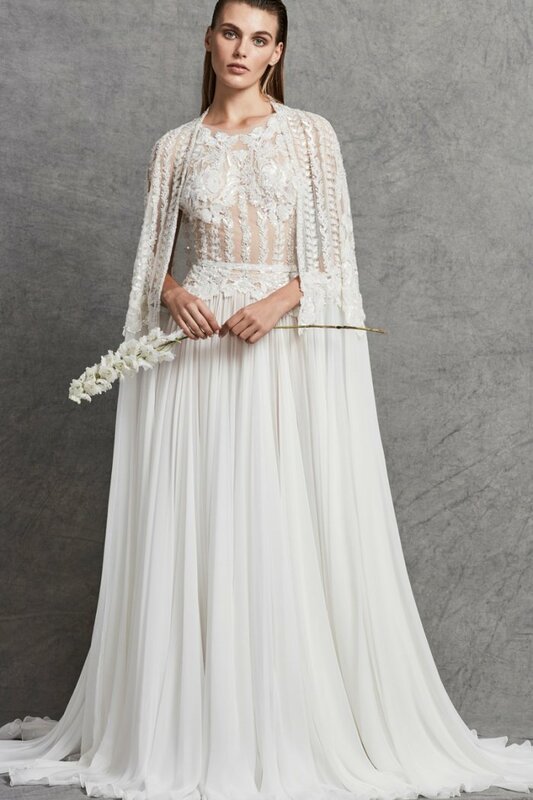 From high necklines to off-the-shoulder styles and plunging v-necklines, the Zuhair Murad bride has plenty of options.